Work for Oracle Retail Xstore Point-of-Service? 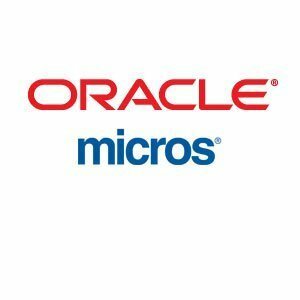 Micros is one of the easiest systems to understand. Very efficient for high volume bars/restaurants. Every tab is easy to find, and they make the whole process very easy. Nothing is complicated about Micros, there are very few steps to do each task. I am very much satisfied with Micros. I haven't experienced any problems while working with this system. I don't think I would change anything. I work at a high volume bar, and I have never occurred any problems with the system. I would highly recommend this product if you in the Hospitality Industry. Super easy for bartenders and servers to understand and makes our job much more efficient! We don't have to worry about computer problems, or a check missing while using this system. All the tabs are in the right place, and I really enjoy their speed screens for the items that are ordered more often. Efficiency! Micros makes our job much easier to do, and therefore we can give our customers better service. We are able to get in and out of the system easily, and fix problems when they occur without management. "LOVE Micros for Restaurants/F&B Outlets"
Versatile, and flexible. Micros easily integrates with many of the systems we use to manage checks and group bills. I also liked that someone took the time to come out and train our team for a week. They were very helpful and attentive and respectful of the fact that we were trying to open a restaurant and learn this tool at the same time. Our new system seems to go down once a week or occasionally freezes. Technical support is available and are very helpful, and understand that it may happen. It's just frustrating as it always seems to happen at the most inconvenient times. If you're not using it, time to make the switch. Once the kinks get worked out, I know we'll be 100% happy with it. A great benefit is that MICROS has been around for a long time and is used by so many retail outlets across the board, so it's easy to learn and begin using. "Not the best but most supported"
It is the most supported EPOS system. It can do, customise and interface to almost everything. The development team can write custom interfaces on demand. From user side, it is easy to learn and use. Very intuitive menu (if designed appropriately). Since Oracle is looking after the business It has became very profit oriented. All hardware is sold with 200% margin on it comparing to retail. Everything has to come with support or maintenance contact or no sale of single item. Support is appealing. Level one support dictates from manual found under F1 and takes ages to be escalated further. No proper Virtualization support or newest server (stuck on 2008r2). Out-dated management and tools. Allows users for quick and easy sale of items. Interfaces well to any PMS system or payment methods. What I liked best about this system is how easy it is to use over all. When managing the system was really easy to handle when changing or adding buttons to the system as well as adding pictures to some of the buttons to add detail. Also making changes to receipt or customer open tables are really easy and simple without making to much hassle. What I disliked about this system was just at the beginning when I was first introduced to it I was not trained on it so dealing with it was very difficult cause I only used one part and then was thrown to use the whole system, but once I was trained on the system it was easy to use. My main focus was dealing with school and training on this system and learning what it had to offer. "The easiest POS system I’ve ever used!" The functions in this POS system are so simple and easy to use.... makes training a breeze! We do have several occasions of freezing. The ease of use creates a much faster checkout experience! Having all of our discounts added in as an actual function vs manual input is also fantastic for our checkout speed! "Best of a bad bunch :("
- System is not user friendly when it comes to correcting mistakes. - Poor customer service. Have to continually chase before you get anywhere. - Hardware and software is outdated. - Charge hefty yearly contracts but not backed up with service given. - In a busy restaurant its unacceptable for the POS to go down on a weekly basis. I feel like that have a near monopoly on the market so hard to avoid but if I find a worthy competitors it will be a easy decision to switch or not. constant contact with customer support but this doesn't seem to change the current problems. I like how fast everything works. If I ever have a problem with the system I can call and they are always quick to help. I've always had a really helpful person on the other line. The worst problem I have had is when it crashes during a rush. It makes things difficult but it doesn't happen very often. Sometimes it seems like it takes a while to reboot. One time calling for help I couldn't understand the person on the other line that made things difficult. The business problems we solve are high end transactions. The benefits is micros does it for us. "Micros POS: The Way to Go! " MICROS has and will continue to be the leading software for POS systems in the restaurant industry . They are quick , efficient, and easy to use . What's more is that the MICrOS system is versatile and can be used for a lot f different tasks . I like everything about this system from the reports it it is capable of running to the functions it is able to perform and all at the simple press of a button (touch screen) ! Would easily recommend this software to any restaurant. There is not much I dislike about the micros system. If there are many cons about this POS software, I am not knowledgeable enough to comment . "Utilised as a POS solution for multiple restaurants"
We used Micros across six different restaurant brands, and the available add-ons, both through Micros/Oracle and third parties are fantastic. Reliable and rock-solid. If you don't stay current with the versions you may be left behind, with difficulty implementing the newest features and third party add-ons. It's a rock-solid platform that stands with the biggest industry platers (Aloha, etc.). Definitely worth considering, especially with it's API functionality. Micros is used at the first point of contact for our customers. We've also been able to integrate with a loyalty app from Punchh which has been a blessing. "Micros has always worked well." The buttons are easy to use and customization so that we are able to change the names and items as our menus change. I think this is important in order for the employees to be able to perform well. I do not like that normally there are never enough Micros Systems and there causes back up when putting in orders. I recommend MICROS because in the fast pace industry of the restaurant it is important that you have a system that works well and works fast. I think that it is very clear and easy to learn for anyone new. There was never a training that I had taken for Micros but it was easy to learn. It allows multiple features that allow you to not have to send your orders all at once. "Mid level POS for restaurants "
Ease of use for newcomers. Customizable in most areas. Very good for inventory purposes. Can link time of use and frequency of products used into database fairly simply. Too much nonsense. Needs to be a bit more cut and dry on the POS terminals. Very slow at times and not the world's best, or quickest, servicing. Go with Aloha instead. Much more user friendly both on the management and user side. An inventory to sales record while also serving as the POS terminal and receipt generator. Much faster and more accurate than other options. The way you program it. Way too many steps. Deleting is a pain. You have to swipe your card too when processing multiple transactions. Revention is a million times better. Buy their customer service contract because you will be calling tech support often. It's easier than to hand write tickets and to look up information about a day or a product, but all POS are able to do that. Just not a fan of the brand. "I have used this product for over 5 years at a restaurant where I am a bartender "
Micros is extremely easy to learn and easy to navigate. The only negative I can say is that it sometimes freezes when you have a lot of credit card tabs and it starts to go extremely slow. The best benefit it is a great way for communicating with the entire restaurant especially the server and the kitchen. "micros system is very nice "
"This software is easy to use and accurate when counting and tracking sales"
This allows us to manage all transactions and sales. We can generate reports and keep records. "Slow, always freezing and in need of a serious update. " Fairly simple to use, however there are too many ways to do one thing. The program constantly freezes, voiding an item is too difficult and putting a new product in is a serious pain. It makes it easier to connect through the servers and bartenders at my job, however, the program is slow and clunky and it looks like its from 1993. "POS can never be any easier"
I like how the software allows control of inventory management and labor management. The software takes quite a bit of time get familiarized with. This software is great once you know the tricks of using it properly. Take your time to get used to it. Implementing for a restaurant. Staff training is required before this software can be deployed. MICROS is very easy to manage and is user friendly. Random issues tend to pop up when I can checking someone out, it can be a little difficult. "Fast and easy to learn"
"Improve productivity with Oracle Retail Xstore Point-of-Service"
very user friendly especially for a dinosaur like me. It was ready to go "out of the box"
Very easy and efficient to use- especially when you are very busy at work. Easy to train staff with. Learning about Oracle Retail Xstore Point-of-Service? * We monitor all Oracle Retail Xstore Point-of-Service reviews to prevent fraudulent reviews and keep review quality high. We do not post reviews by company employees or direct competitors. Validated reviews require the user to submit a screenshot of the product containing their user ID, in order to verify a user is an actual user of the product. Hi there! 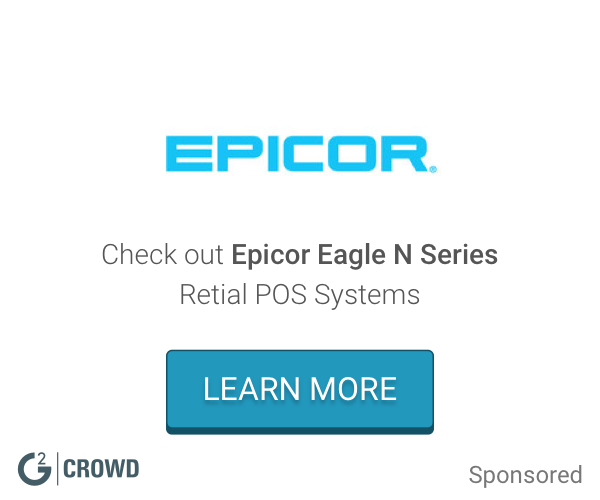 Are you looking to implement a solution like MICROS-Retail?